Furtastic looks. This time I want to talk about the best ways how to wear fur this Winter season. 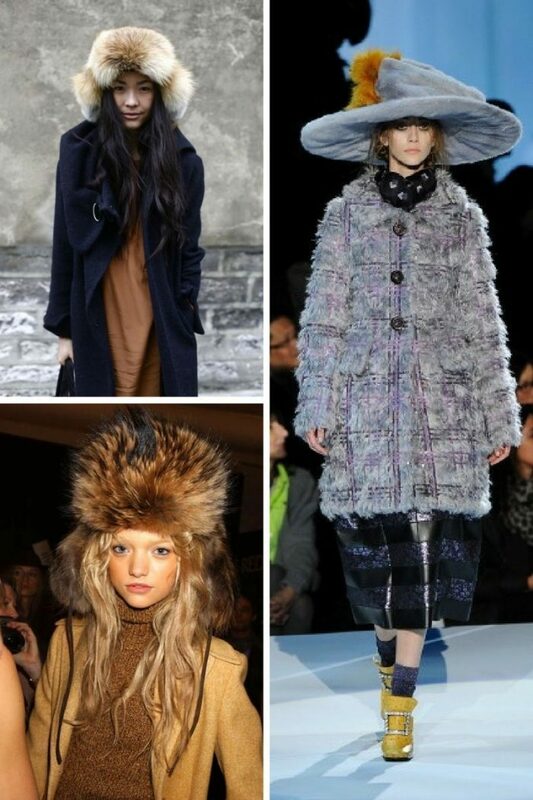 No matter if it’s real or faux fur, there are lots of awesome ways on how to make it look awesome on you. Believe me, this fabric will make you look elegant and sophisticated, no matter if you are dressed in casual or classy looks. 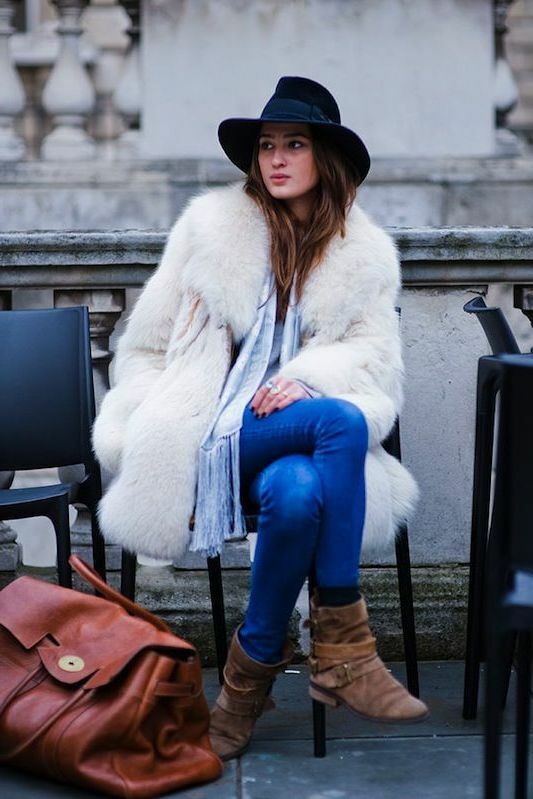 No matter how simple is your outfit, there are lots of ways to make it look sophisticated thanks to furs. Anyway, if you want to get inspired by my favorite ways of wearing fur during winter walks, then you are more than welcome to check out these amazing street style images. How about making a real statement by wearing a furry skirt? This might be too bold, but this is one of the best ways to underline your individuality. I think this is a perfect look to turn heads. Why don’t you give this style a try? 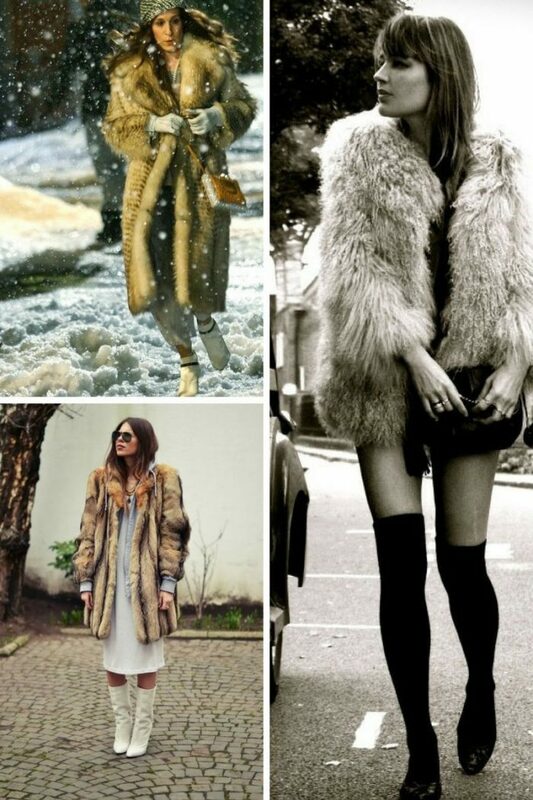 For instance, you can try on fur jacket and team it with a crisp white shirt tucked in a cream-white furry maxi skirt. If you want to make a lush statement, then I advise you to try on fur cowl and collar. This addition will make your outfit stand out from the crowd. It doesn’t have to be big, sometimes it’s all about where you place it. For instance, you can place bright hued fur cowl on top of your simple neutral color coat. My favorite piece is a big and fluffy fur coat. This is a classic investment that can make a statement and stand out from the crowd. 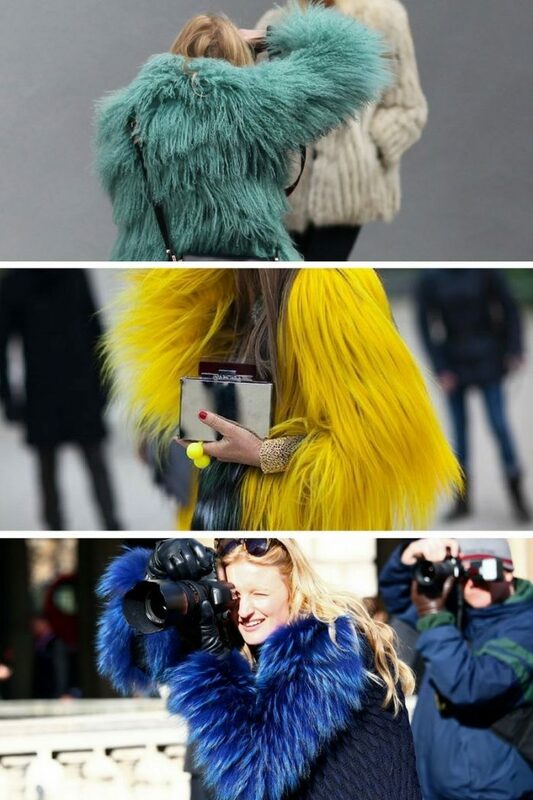 Sure, you can choose a colorful fur coat, so it is easier for you to underline your uniqueness. I recommend to try on multicolored design and pair it with neutral color basics. If you are not sure if you are bold enough to make a statement by wearing a big fur coat or lush fur cowl, then I suggest you start from fur trimmed pieces. Fur trim can be seen on coats, jackets, and dresses. This is an ideal way to upgrade your everyday look. I felt in love with this boho inspired look, featuring fur vest, white sweater, floppy hat, high-waisted charcoal skirt and OTK black leather boots. Speaking of shoes, I advice you to check my post about over the knee boots for women. You will see latest street style looks completed with this gorgeous footwear. So in love with this pastel pink fur coat teamed with a black top and black leather skinnies. The mirrored sunglasses and platform Oxfords look glamour! By the way, be sure to check my post on pastel clothes for women to wear this Winter. I am sure, every lady will find something new and trendy! Do You have any thoughts about Winter Fur For Women? 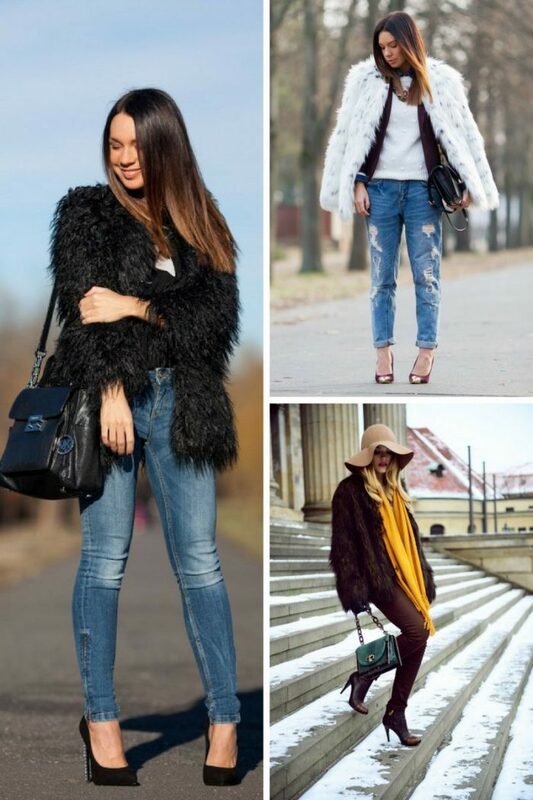 Here are Fashion Tips pictures and trendy women’s outfits which are in style in 2019: Colorful Fur Coats, Fluffy Fur Coats, Fur Acccessories, Fur Clothes, Fur Coats, Fur Cowls, Fur Skirts, Fur Trimmed Clothes, Must Have Fashion Trends For Women and tips on how to wear them on the streets.